New chromatography separation techniques could extract rare earth elements from waste coal ash and help introduce the US to a market worth $4bn. Rare earth elements (REE) consist largely of Lanthanides (Lns) – a series of 15 metallic elements – and the value of products requiring them is estimated at over $4 trillion per year. Separating rare earth elements is, however, extremely difficult because the elements have the same ionic charge and are similar in size, said Wang. They also occur in ores in concentrations of a few thousand parts per million. 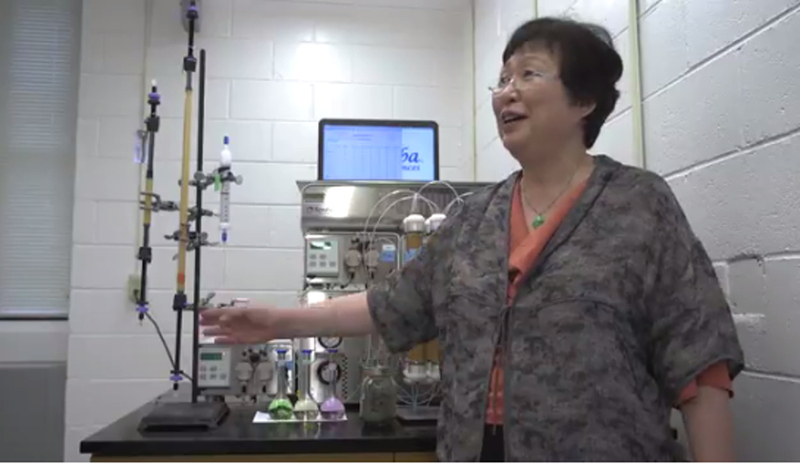 By contrast, Wang’s new techniques could separate REE first from other impurities and then from each other by using only a few chromatography units. The processes are said to involve ligand-assisted elution or displacement chromatography methods using low-cost, inorganic sorbent titania or polymeric sorbents. Wang said that the US has accumulated 1.5 billion tons of coal ash, which is rich in rare earth elements and could be used to produce REEs for decades. The Purdue Research Foundation’s Office of Technology Commercialisation has patented the technology and it is available for license. Well done Dr Wang. This is truly an important step forward. Good luck with the commercialisation.